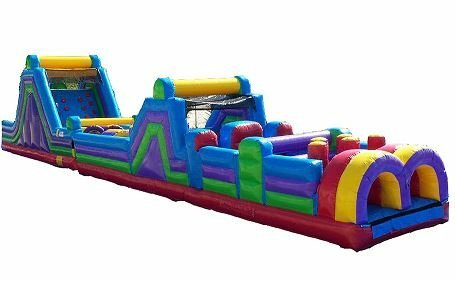 With this obstacle course rental unit you'll get over 65ft of challenge course elements that will be fun for all age groups. Tunnels to crawl through, blockades to squeeze through and an 18ft climb & slide that will test all skills. 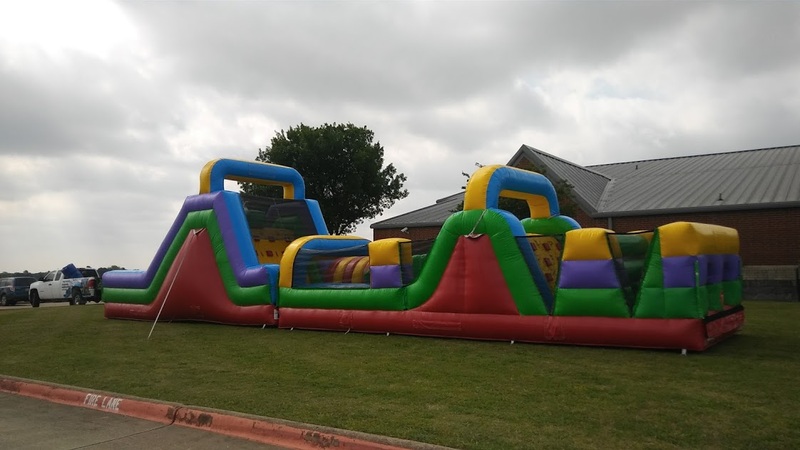 The 65ft Mega Course is big, so make sure you have enough room for the setup. If you have question concerning space requirements and setup please call.